The garden was planted with trees, bushes, and flowers. The man was very tall and had a remarkable thick bush of hair. The cat disappeared into the bush. The tourists were found alive but dehydrated after getting lost in the bush. Roses bushed thickly from the plant. There were fields as far as the eye could see, each one bushed around the edges. 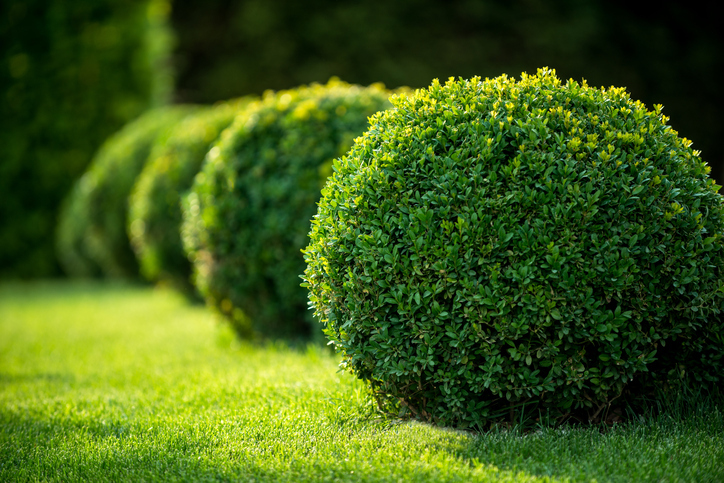 In metallurgy, a bush is a metal lining put into an orifice to stop it being worn by friction. As a slightly vulgar slang term, bush is used to mean pubic hair, especially when it is thick and abundant. Bush dates back to before the year 1000. The Old English bysc (later busc and, in Middle English, busshe) meant ‘a many-stemmed, woody plant.’ It came into English from the West Germanic busk (bush or thicket), but was also influenced by or combined with words of Scandinavian origin. It is related to the Old Saxon and Old High German busc, Dutch bosch, bos, German Busch, as well as to the Old Norse buskr and the Danish busk (all of these mean bush). It is also related to the Old French busche and the Anglo-Latin bosca (firewood), as well as the Italian bosco, the Spanish bosque and the French bois (woods or forest), which all come from the Medieval Latin busca. Interestingly, it is believed that the Medieval Latin source was also West Germanic, and the origin of the word before then is unknown. It has been applied to uncleared, rural areas since the mid-17th century (starting in the British American colonies), possibly due to the influence of the Dutch bosch, which had that sense, since this meaning appeared first in former Dutch colonies. It has been used colloquially for hair resembling a bush since the late 16th century, and the colloquial sense ‘public hair’ (especially a woman’s) has been around since the mid-18th century. The expression “beat around (or about) the bush” dates back to the mid-15th century, though originally it was something done physically to get birds to fly out for hunting. The verb comes from the noun, and dates back to the 14th century.